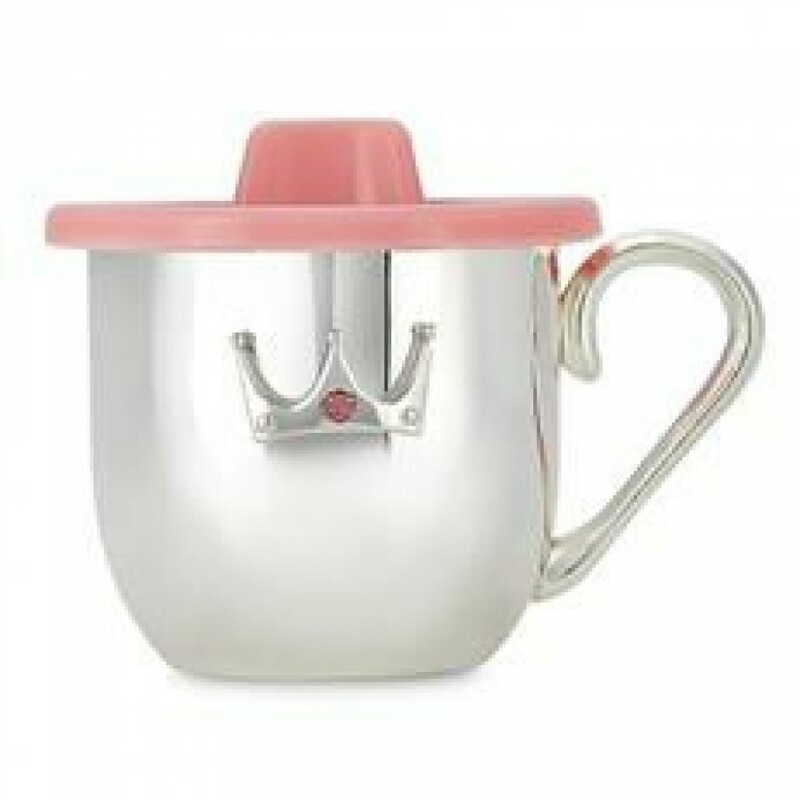 This cute baby crown cup is silver plated with a pink translucent soft plastic lid. It has a raised crown on the front studded with a pink stone. It can be an ideal gift for a baby. Silver Plated Translucent Soft Plastic Lid Color Silver and Pink Shipping Time 2 5 days Easy to maintain.